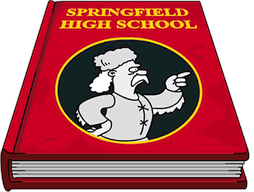 Love is in the air in Springfield and this time it’s an affair for the older Sprinfieldianites… and Otto. You asked for some VD, I mean Valentine’s Day action (okay that doesn’t sound better), I mean an event themed to the sacrifices of a priest during the reign of Roman Emperor Claudius, okay, I don’t know what I mean. How about just saying we got another mini-event for a “holiday” and tappers got what they sort of asked for? As I suspected, a portion of this event is basically an episode tie-in for the upcoming Valentine’s Day episode, “Love Is in the N2-O2-Ar-CO2-Ne-He-CH4” (S27:E13) airing on February 14th. But not everything is new… some of the items come from previous episodes and that’s why I get to share with all of my favorite tappers here. For this origin, we’ll be taking a look at the Starline Commander, the fourth prize in the 2016 Valentine’s Day Update. Let’s take a look at the TV Series to find it. So EA pulled from a much more recent episode for this prize but I’m not complaining. New cars are always nice in the game and this one is a beauty. In the episode, a young Bart is shipped off to his grandfather after hurting Homer and giving him anxiety. Grampa doesn’t want to play cars with Bart because he’d never be able to get back up if he got down on the ground so instead, he shows off his real car to Bart. “Feast your eyes on the most beautiful machine ever made. The 1954 Studebaker Starliner Commander. 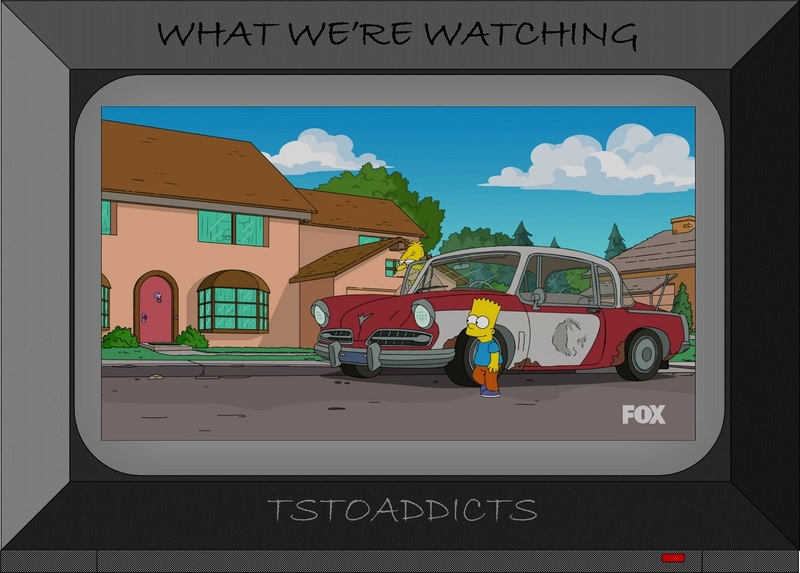 I bought it brand new and forgot about it until today.” Grampa lets Bart help him drive (neither is allowed to legally lol) and they bond way better than Bart has with his own dad. 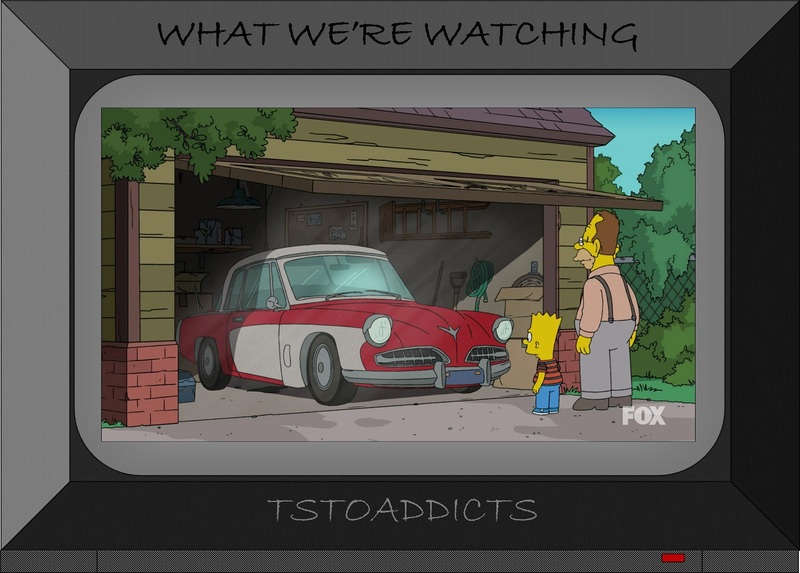 Bart may have more gumption than Homer ever showed but two years later, Grampa’s car hasn’t fared well with all the driving the two have done together. 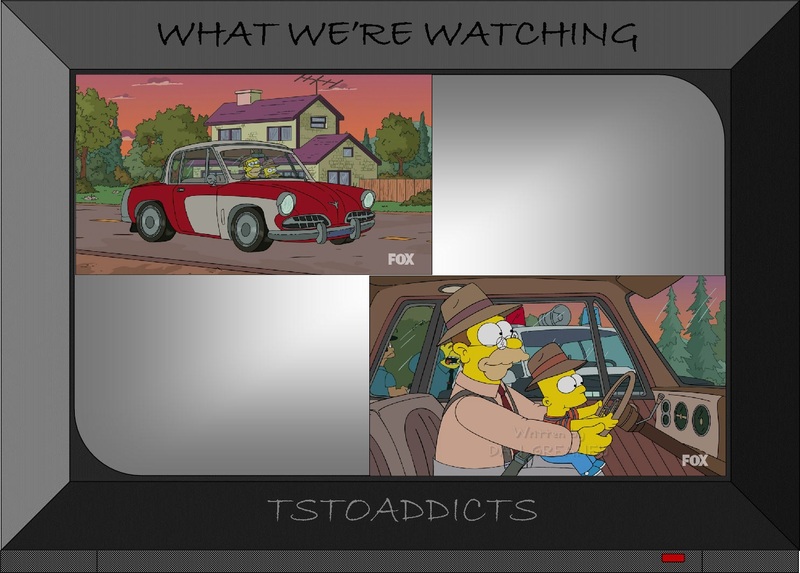 Thankfully, we got the spiffy version in our games and for some reason the ‘r’ was dropped off the name for TSTO. I listened to Grampa say the name several times and even checked closed captioning to make sure I had it right. Of course there’s more to the episode and since it’s a new one, we actually have a full recap here. Not really much more to say about this classic car. 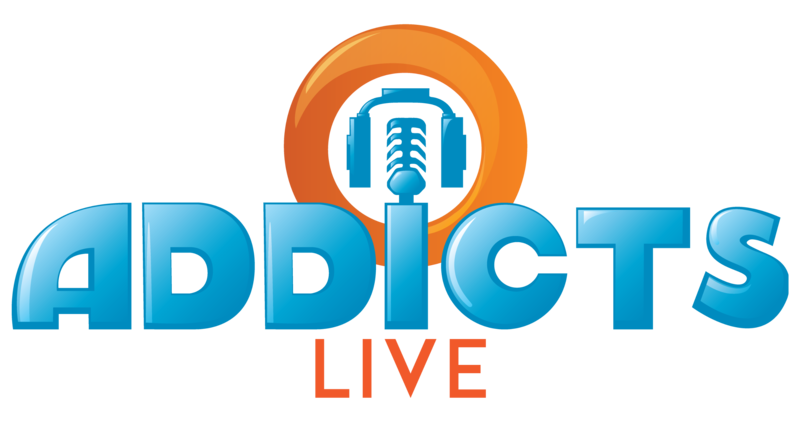 What do you think of the prize? Did you earn it? Have a car that looked similar to this at any point in your life? Hope this mini-event is treating you well and Happy Love Day to y’all. 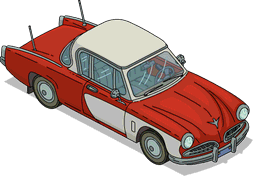 This entry was posted in Decorations, Where Did THAT Come From and tagged 1954 Studebaker Starliner Commander Simpsons, Grampa Simpson's classic car, Simpsons Barthood episode, Starline Commander TSTO, The Simpsons Tapped Out, TSTO Addicts, TSTO Valentine's Day, Valentine's day Update 2016, Valentines Prizes. Bookmark the permalink. my dad has a 1953 studebaker commander hardtop v8 he bought new. it looks pretty much the same as the simpsons but the body is creme and the top is red. In before the announcement of the new update! it is indeed a real car though it wasn’t called the Starline (or Starliner) Commander. grandpa abe’s car looks most like the studebaker starliner champion (note the picture on the wikipedia page, https://en.wikipedia.org/wiki/Studebaker_Champion#/media/File:STUDEBAKER_CHAMPION-3721.JPG which could very well be the model the animators worked from). although the champion was studebaker’s bread and butter economy car, they were quite handsome. what ultimately did them in was that they were straight sixes made at a time when the auto industry was obsessed with ever larger v8 engines and that studebaker had a reputation for being an “old persons'” car. There is indeed a Starliner Commander. The Commander is V8 powered, while the Champion has an inline 6 cylinder engine. Fortunately both got the same beautiful bodywork. The Starliner name identifies it as a pillarless hardtop coupe, there is also a Starlight which has pillared doors. Since Abe clearly says it’s a Commander, he must know what he bought. I had a 1958 Silver Hawk and a 1962 GT Hawk, which were later models developed from the Starlight and Starliner respectively. World’s Most Overdue Burial and a “Buried Redwood Pice Cone” just appeared in my game. So, the next “Daily Challenge” has started, and it a 15 day Challenge for 10 donuts. Booo!!! More than 2 weeks. That is not a challenge, that is called an EVENT. No Bueno. Just too long. However, it IS free donuts. So, I am split on this. AND, I have had the Rocket ship from the beginning, and all I have gotten from it is ONE “Hail Ants” sign and he rest is space junk. Again, no Bueno. However, it is FREE space junk…. 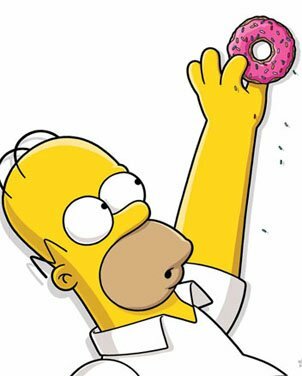 You can still get donuts from the daily tasks – so just look at the 15 as “bonus bonuts”. IIRC, the payoff is actually better for the longer ones. Its actually a better deal than getting 3 donuts every five days like we have been getting. Plus you will probably get a free donut or two from the challenges thenselves. To get off the track on this subject, why am I having so many problems with the where’s Maggie game? Again today I found Maggie at 51 seconds on the roof of the White House and nothing happened. I kept touching the screen repeatedly, times up is the message. This has happened repeatedly with me. Even when I turn off my iPad, what’s up with this? It also helps to know you only find her once per 2 minutes. I was panicking the first time thinking I have to find her 3 times in that 2 minutes. Tapping on the base of the building works every time for me. Any hints as to when Level 60 will hit? In the meantime, I guess we just keep pumping out more monorail pieces. I hope they give us an option to buy some straight tracks in Level 60. I’ve got lots of bonuts now so I can afford it. Or maybe the option to trade in ten curved tracks for one straight track.